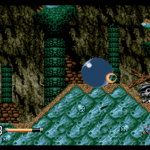 The original Blaster Master (Meta Fight) had seen no success in Japan, but in the US and Europe it had become a popular game. So it’s no wonder Sunsoft of America and not Japan took steps to make a sequel. David Siller hired UK based developer Software Creations -creators of games like Solstice: The Quest for the Staff of Demnos (NES) and Plok (SNES)- to make the game. The final product wouldn’t receive the same positive feedback as the original though. And most people probably didn’t hear of it. David Siller tells me that the game just didn’t get enough time to get where it needed to be. I got in contact with the two people who programmed and designed, Pete Harrison and Peter Andrew. Andrew started the project and Harrison soon took over while Andrew moved over to another project. Andrew tells me that there was no pre-production, they just started building a game. There was no time to really do much planing. ”I’m pretty sure I didn’t receive any kind of design to work from. Level design would probably have been done by Martin Holland”, says Andrew. Holland being the games graphics artist. 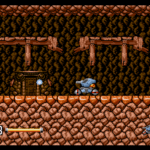 At first glance Blaster Master 2 looks similar to the original. 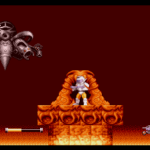 The SOPHIA tank in a side-scrolling 2D perspective. Jason can jump out if the tank as well and enter doors. But here it gets different. Instead of the diagonal over head view of Blaster Master we get a mother side-scrolling part but more zoomed in. This is where the games boss battles take place. In small rooms. Then there is the top-down tank segments. 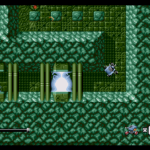 The player needs to guide the tank through a maze full of enemies and traps. The controls are somewhat unusual and takes time to get a grip with. This segment would probably have benefitted from more testing and balancing. I asked Andrew if he had played the original before starting development of Blaster Master 2. ”To my shame (as I know it is a classic) I wasn’t familiar with it. I was able to play it when I was given the project – but with the timelines we had, there was no real pre-production cycle within which to become truly familiar with it”, he says. He says they might have planned for more than they could deliver. ”I think we scoped the game incorrectly based on the time available”, he tells me. There were two planned features that stands out. The first being able to drive on curved surfaces with the tank. 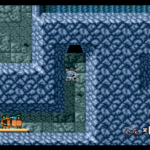 The second being a third-person driving sequence where you see the tank from behind. Both were cut due to lack of time. The curved/slopes idea was partly worked on while the third-person driving only ever was an idea. 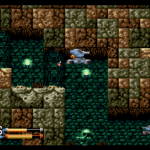 Blaster Master 2 was Pete Harrison’s first project when joining Software Creations. And he took over a game that was behind in schedule. ”I worked overtime to try and get it finished. In the end I appeared to get the blame for it being late!”, he tells me. David Siller tells me that projects often got green light late and then they wanted the game to get finished as quick as possible. This of course led to some of Sunsoft’s games getting too little time for the developers to do everything they wanted. 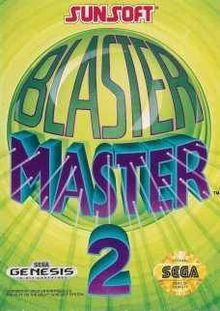 Blaster Master 2 was never released in Japan due to the originals lack of success there. But later on the series would get several attempts of a revival both in Japan and world wide. The story is set four year after the first game. Earth is attacked by lightning beings set on destroying the planet from the core. SOPHIA is partly destroyed and the upgrade parts Jason collected in the first game has been stolen. Jason rebuilds SOPHIA to make it fit for combat and sets off to take on the threat. The story seems very much written to explain why the game plays differently from the first game.